An effective way to generate sales leads online is to offer information of perceived value in exchange for end user contact information. 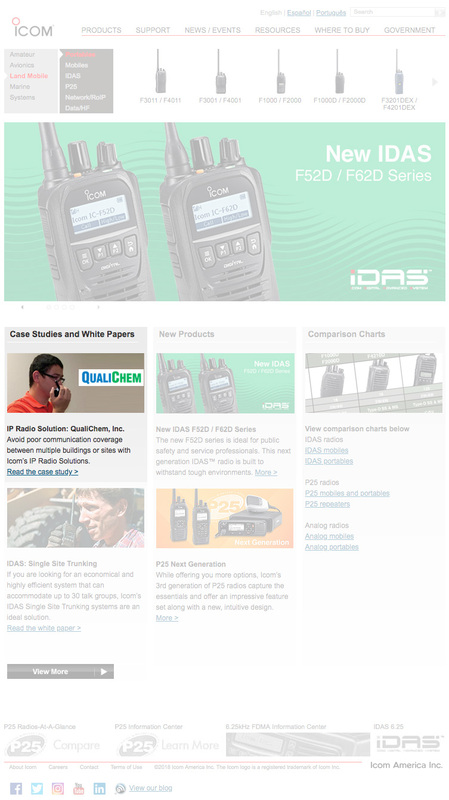 The goal of this project was to generate leads for Icom’s Land Mobile radio division. 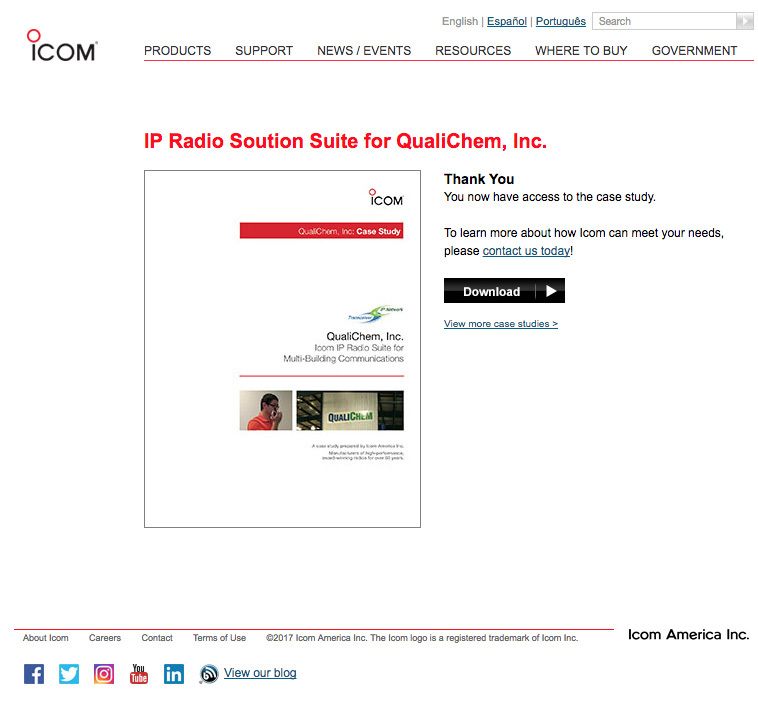 To do so, we implemented a basic marketing funnel consisting of one lead capture form and a download page, where users can download the QualiChem case study. 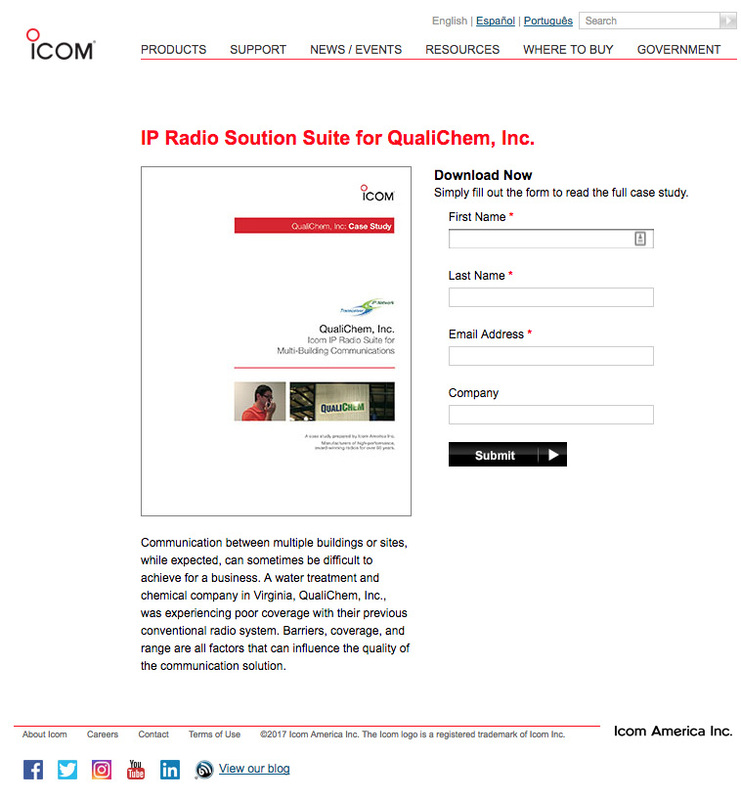 Upon submission of the form, user information goes directly into Icom’s CRM system and is passed to along to the sales team. 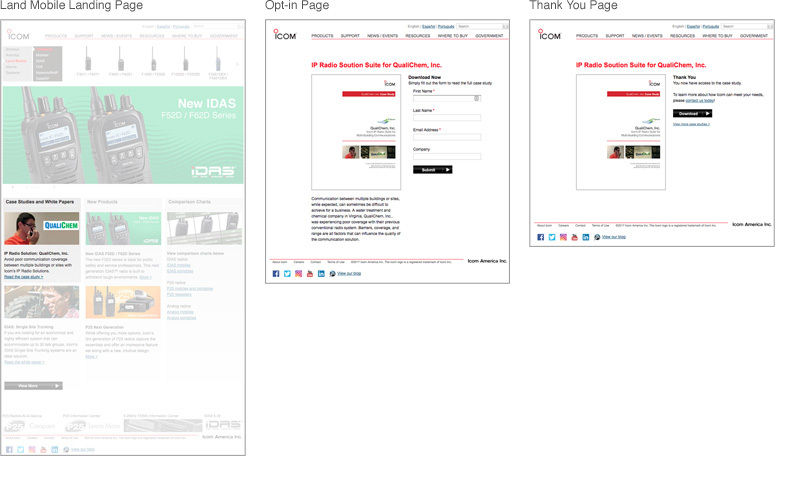 My role in the project included structuring the funnel, along with design and development of all pages in the funnel.